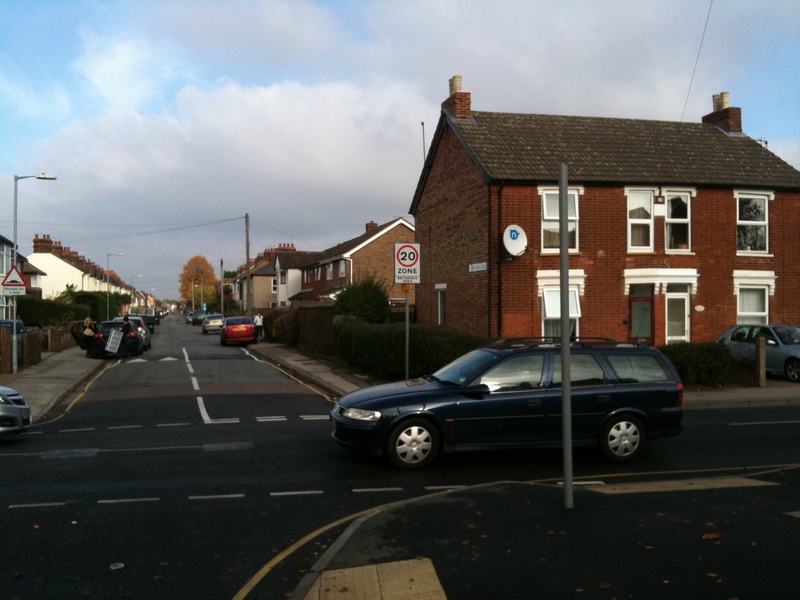 Suffolk County Council recently decided that it will not replace the lollipop lady who helps parents and children who attend Britannia Road Primary School across Foxhall Road at the junction with Britannia Road. She retires next March and the currently plans are that she will not be replaced. Have then forgotten how dangerous this road is or did they never know? The location of the crossing patrol with its nice new dropped kerb. However… have they forgotten that four people have been killed on Foxhall Road within the past 10 years within 100 meters of that spot and another car passenger not far away. This must make it one of the most lethal roads in the town. For the record in 2001 a 14 year old boy was killed walking on Foxhall Road outside St Clement Hospital on 26 January 2001. Then a 22 year old man was killed walking along Foxhall Road by Dover Road on 22 March of the same year. Next it was the 18 year old passenger who died in a car crash further along the same road on 14 November 2007. Most recently in February last year it was the turn of two women were also killed while walking along Foxhall Road. You can check the figures using the BBC interactive casualty map. Before you get too alarmed… Road casualty rates have been falling for 45 years. They peaked in 1966 at a staggering 7,985 in one year. The figure for 2009 is 2,222 which is the lowest since records began in 1926. During Labour’s recent term in office between 2000 and 2009 they dropped an impressive 44% (from 3,409 to 2,222) and the number of children killed fell even further (by 61%). Don’t believe me? Well check out this Wikipedia article which I helped create and follow the references back to the Department for Transport website. To give them their due, the previous conservative government also saw big falls, from 5,953 to 3,599. My concern that the current government has pledged to ‘end the war on the motorist’ and has cut the road safety grant by 40%. They have also cut local council budgets. See this article in the Telegraph for a reasonably cynical view! Lets fight to keep this patrol also for continued progress on road safety. Why not write to your councilor or to your MP. You can do this easily from this wonderful website. Does anyone affected wish to start a petition? If so then let me know. Finally, here a a chart I created shows the trend in GB road fatalities since 1929 together with many of the associated road safety interventions during the period. My initial post incorrectly suggested that Ipswich Borough Council was responsible for this decision. They were not, this is a decision by Suffolk County Council who are the transport authority. Apologies to Ipswich Borough Council. 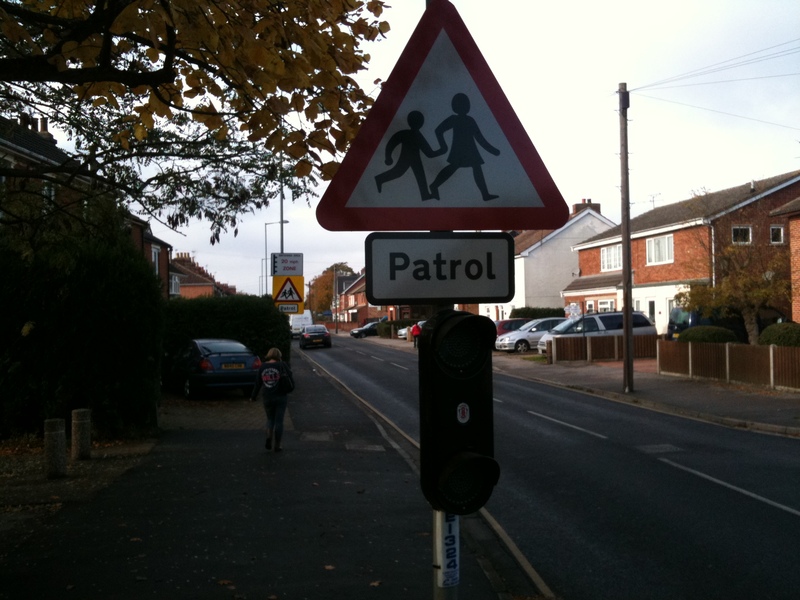 More recently fears have been expressed that all 72 crossing patrols in the county could be axed.